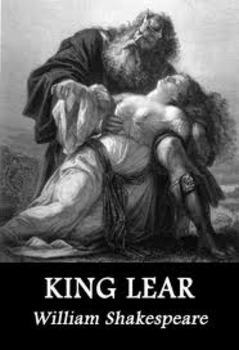 Shakespeare's tragic play King Lear is broken down scene by scene including easy to understand summary and in-depth analysis. Discusses major themes, motifs, and symbolism in the play, along with elements of a classical tragedy. An aesthetic Power Point (37 slides) for student notes and class discussions on one of Shakespeare's greatest works.